As President of Nike’s Direct to Consumer business, O’Neill is responsible for leading Nike’s retail and e-commerce business globally. During her 18 years with the company, O’Neill has held a variety of leadership roles across Marketing, Product and Direct to Consumer. 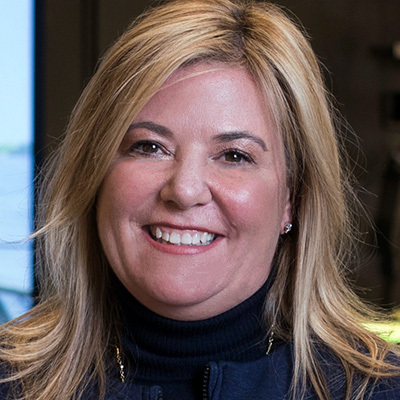 In her most recent role as VP, GM of Nike Stores, O’Neill helped redefine the future of Nike stores by revolutionizing consumer experiences and services. O’Neill is widely recognized for envisioning the future of sport retail. Leading a diverse team of experts—from product designers to app developers—she is redefining how Nike serves athletes. Prior to this position, O’Neill led Nike’s women’s business for seven years, growing the category into a multi-billion dollar business. O’Neill also served as General Manager of Women’s Apparel, and in her first role at Nike, was a Director of Marketing. She is also an active member of the Board of Directors for SkullCandy, Inc. Prior to joining Nike, O’Neill led Marketing for the Levi Strauss and Company, developing the integrated marketing strategy and planning for the Dockers brand, successfully repositioning the brand for profitable growth.